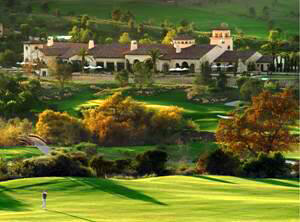 Shady Canyon is the most exclusive guard gated community in Irvine, made of about 400 estate homes and featuring a private golf course and over 16,000 acres of natural reserve. This is a one of a kind luxury neighborhood: it has a Mediterranean feel, gorgeous weather year round, true sense of space (rare in OC) with many homes backing to Bommer Canyon, many trails within the neighborhood, tennis courts and swimming pool and spa, apart from the tot lots and patio areas with gas grills. Most homes have large lots of over half an acre, private pools and incredible resort looking backyards. Luxuries within the homes not only include those spacious lots, but some features like elevators, outdoor kitchen and technology that integrates the controls for lighting, heating, security and other systems, making these 'smart homes'.The center of the neighborhood is the private Shady Canyon Golf Club, with their Spa and Fitness Center. The Shady Canyon Irvine Real Estate is, just as anything in Shady Canyon, a luxury one, with homes starting and going into the multi-million dollar range, and offering lots as large as 130 000 sq ft, with all the benefits of living in Irvine, including the award winning schools and close proximity to the many Irvine amenities, facilities and John Wayne airport, making the decision of buying a home in Shady Canyon, also a great education investment. Search all of Shady Canyon Estates available for sale listed in the MLS below. For information about any of the homes featured here, please contact us by email or at (949) 888-6788. Read more about the homes and lots at Shady Canyon in Irvine. Clubhouse with Spa and Fitness Center: members also have dining privileges in the Main Clubhouse. Pool and Spa : with a Jr Olympic Pool. Many Shady Canyon homes have views or back to Bommer Canyon. The trails in Bommer Canyon feature groves of oak and sycamore trees as well as rough rock outcrops and are popular with the Shady Canyon residents who use them for nature walks, hiking and mountain biking.